Warm Brew are all about providing the good vibes. 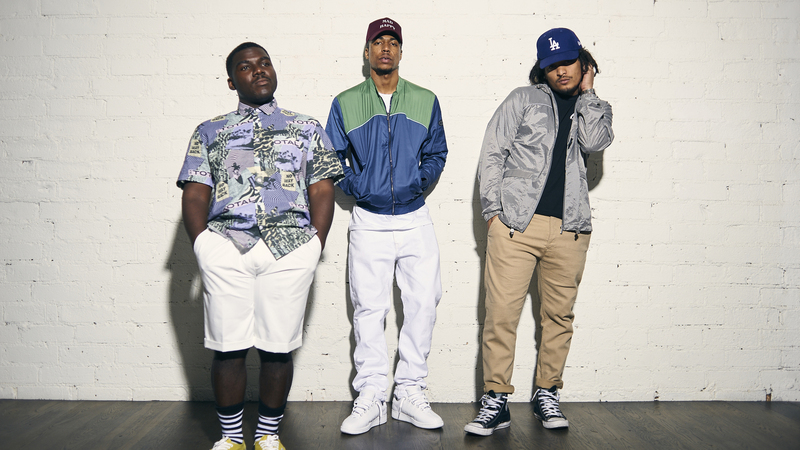 The California-bred hip-hop trio consists of high school friends Ray Wright, Manu Li, and Serk Spliff, who all grew up together and bonded as teens while navigating the SoCal scene. Inspired by the easy-going sounds of A Tribe Called Quest and De La Soul, Warm Brew have developed an eclectic sound, blending elements from each member's colorful personality to create music that resonates. Their lyrics touch on classic West Coast themes like beaches, partying, and friendship, but also delves into heavier topics, like the ever-changing SaMo/Venice landscape. The three-piece recently embarked on a new chapter in their lives—one that found them opening up for New York icons, The Underachievers' Renaissance tour. Since it kicked off on October 6 in Milwaukee, Warm Brew have been blowing live music fans away with their energetic sets, which have been known to include stage diving, crowd surfing, and moshing galore. We wanted fans of the "Herb Shuttles" musicians to get to know the opening act that has the industry abuzz, so we caught up with Warm Brew to talk about their current run, their creative process, and what they're eating on the road in-between shows. Check out the exclusive video below, then RSVP to their show in your city to receive an exclusive gift at the venue!